Home / Blog / Why Every Small Business Owner Must Have a Domain & Website in 2016! If you are a small business owner and you don’t have a website, Now is the time! Owning a domain name for your company is a must for anyone thinking of starting a business, no matter what size and even if your business is offline. It also helps to protect your companies name and prevent misuse, as there’s always somebody looking to steal of business identify so it’s essential it’s the first thing you secure. A website is the virtual equivalent of a physical company in the real world; though businesses who operate top-notch physical spaces sometimes neglect this online real estate. HubSpot tells us that 78% percent of Internet users search for products to buy online. With the number of global Internet users approaching 3 billion, it is easy to make the argument that the website is a potent marketing tool. Businesses strive to offer their target market at least what their direct competitors are offering them, while continually seeking ways to rise above the crowd, to offer something that outdoes others. Statistic Brain reports that 24.8% of just over 14 million America businesses surveyed in 2012 offered corporate websites to their clients. 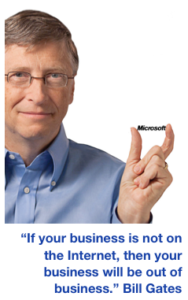 The 2013 Small Business Technology Report tells us that 82% of small businesses operate websites. If members of a target market spent their days and nights waiting for their landline telephone to ring, it would be smart to use said outdated device as a vehicle for marketing tactics. Statista reports that there were 191.1 million Internet shoppers in 2013, and that the projected number for 2018 is 215.1 million. 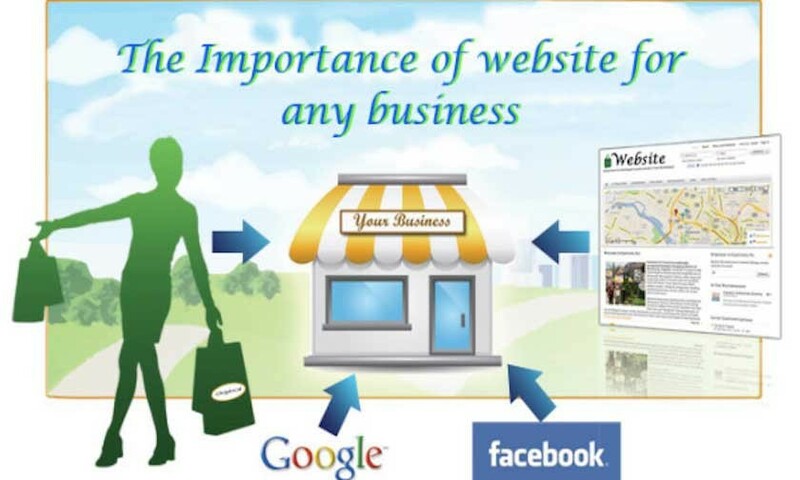 If a business does not have a website, it has closed the door to an unacceptable number of potential customers. How do online shoppers find companies? They are most likely to search for businesses using Google, Bing, Dogpile or other engines. When a user reads through that all-important first page of search results, they are looking for an official website. Members of a target market might explore your presence on social media platforms like Facebook, Pinterest and Google+, but they will want to use your website as a portal. 4. YOU KNOW YOU SHOULDN’T TOTALLY IGNORE SEO, RIGHT? Marketers know that building well-designed websites and informative blogs are the most effective ways of influencing how high your company ranks in search results. Search Engine Watch reports that the first organic – or non-sponsored – result on the first page of Google search results gets 33% of the traffic associated with that search. Being on page 1 of Google search results means you have a chance of getting part of the 92% of traffic that never does make it to page 2. A business website provides crucial data that can be used to form policy, develop better products and create marketing strategies that get results. A proactive business owner using analytical tools can put together a much more complete image of a typical customer than would be possible offline; a website offers a platform for interacting with a wide swath of a target audience on a daily basis. 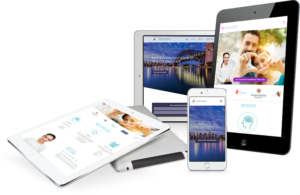 Business owners need to invest in a well-designed website, while ensuring that it is not left sitting there online without being updated. For those who already adhere to this practice, there is nowhere to go but up.